In the context of the lawsuit filed by the "Lebanese Forces" on November 2007 against Sheikh Pierre Daher, LBCI, and foreign companies, the Lebanese Cassation Court - Criminal Chamber consisting of its president Judge Joseph Samaha, his consultants Walid Al Kadi and Sabouh El-Hajj Sleiman, issued a decision concerning the appeals presented before the court by both parties, appealing the decision of the Beirut Accusatory Committee. The Cassation Court's decision rejected the appeal request filed by Daher, LBCI and foreign companies, and approved the Lebanese Forces appeal ratifying the Beirut Investigative Judge's decision in rejecting the formal defenses as well as accusing the defendants and referring them to the Sole Criminal Judge in Beirut. Thus, the Cassation Court made the lawsuit effective once again after the Beirut Accusatory Committee had dismissed it based on the effect of passage of time. The Sole Criminal Judge in Beirut will look into the case once the lawsuit is referred to office. 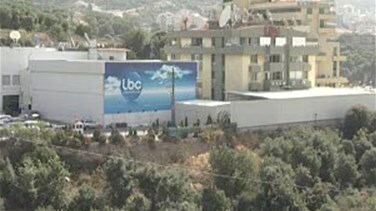 This denies false information circulated via the media about "the decision being definitive and proving the Lebanese Forces' ownership of LBCI." Both the Cassation Court and the investigative judge's decisions are just assumptions and cannot be deemed valid. The Cassation decision literally denies the completion of any criminal elements, stressing that the courts of First Instance, Appeal and Cassation will be the sole decision takers in the aforementioned case and their decisions cannot predetermined or speculated. The procedure will include hearing witness testimonies, legal discussions and presenting documentation. In the meantime, nothing will be changed at LBCI nor will the company be affected by the decision of the Court of Cassation, both in terms of its administrative structure or ownership of fixed shareholders who are legally protected, or in terms of its information policy and programs and its general sense of objectivity and news impartiality. For the full report, please click on the VIDEO above.